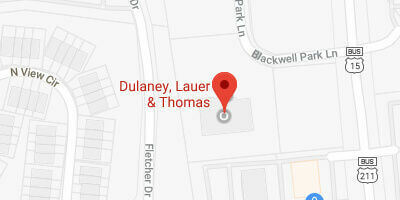 Dulaney, Lauer & Thomas is ready to be your advocate. We look forward to meeting with you. Virginia accident victims, if you need help with an injury you sustained in Virginia, time is of the essence. Don't let the insurance companies take advantage of you. Our trial lawyers accept a variety of injury cases such as car, truck, motorcycle and DUI accidents; workplace accidents; nursing home abuse & neglect cases; wrecks involving fatalities, and more. To speak with an attorney now, please call one of our conveniently located offices in the Piedmont region. Or, fill out the contact form below and we will contact you.